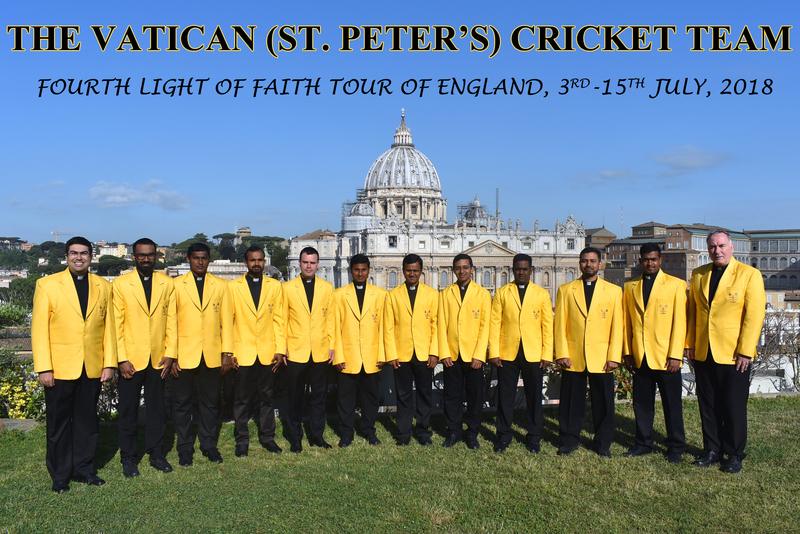 The Vatican’s cricket team takes off on a fourth UK tour on Tuesday, with the goal of strengthening interfaith relations high on their action-packed agenda. The team begins their 12-day ‘Light of Faith’ tour in the north of England, playing an opening match against the prestigious Stonyhurst College, founded by the Jesuits at the end of the 16th Century. On July 6th, the Vatican Cricket Team, or “the Vatican XI,” travels to London where they will join with members of the Archbishop of Canterbury’s team at the hallowed Lord’s cricket ground to play against an interfaith side that includes Muslim, Sikh, Hindu, Buddhist and Jewish players. They will also play matches against a team of Members of Parliament, against a Commonwealth XI, and the Royal Household Cricket Club at Windsor Castle. On July 8th they visit a young offenders’ prison unit, celebrating Mass and playing a match there. As well as their sporting fixtures, the Vatican team will be visiting a London mosque, a Sikh gurdwara, a Hindu temple and a Jewish synagogue to strengthen interreligious relations and to highlight the vital role of faith in contemporary society.